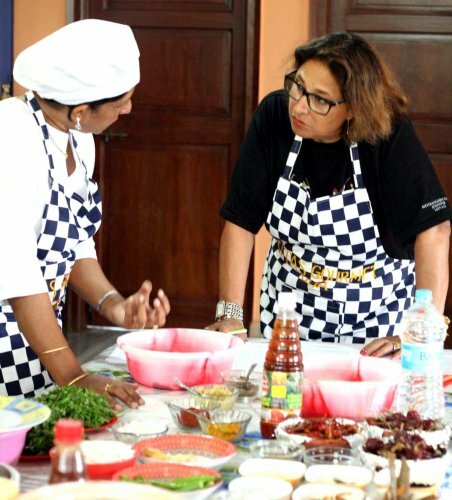 Rita’s Gourmet conducts culinary activities for corporate guests which are designed to inspire in the workforce the skills in team building, camaraderie, creative thinking and leadership qualities. Different culinary themes are set out to select from. The participants are divided into small groups. 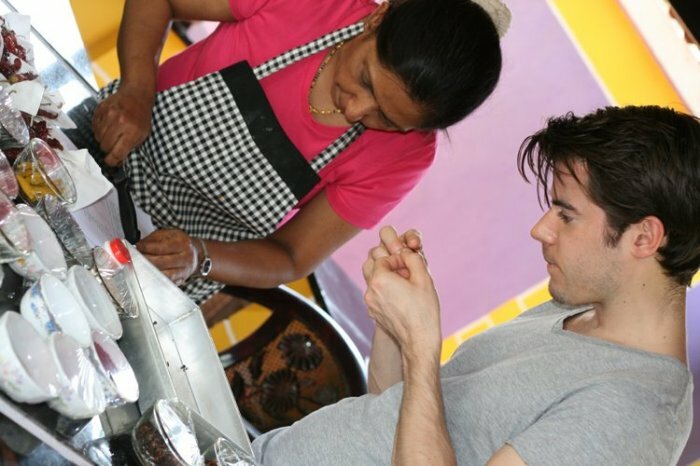 They are introduced to different ingredients that go into making different dishes. 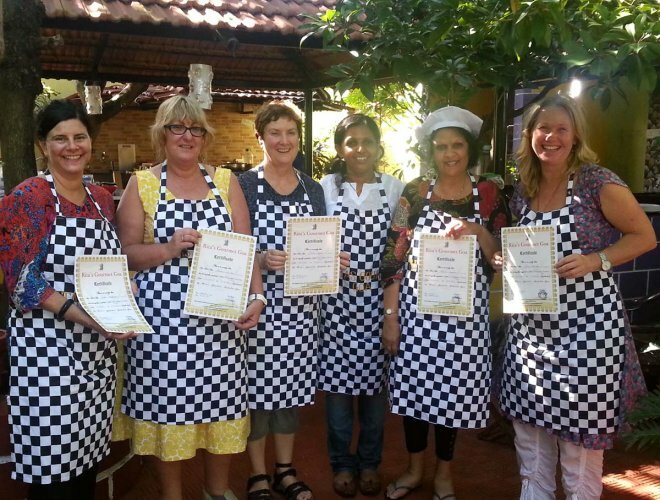 Step by step culinary education is imparted before the group starts the session. During the middle of the session too, expert tips and organizational expertise are imparted so that the group remains motivated throughout. It is a fun-filled session and an amazing stress buster outdoor activity. 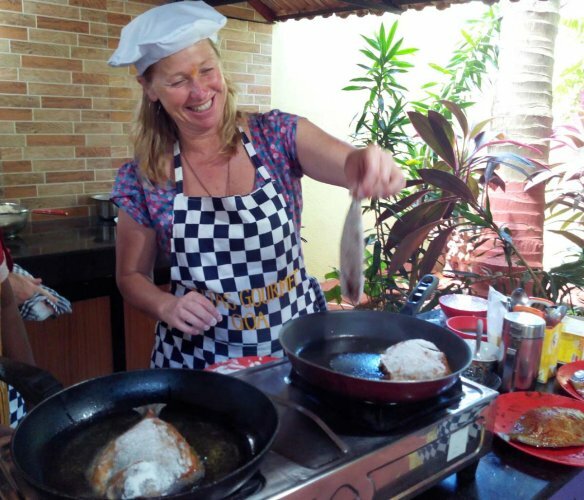 Moreover, a brief introduction to the culinary history of Goa including the influence of Portuguese rule on Goa’s food menu to some extent. 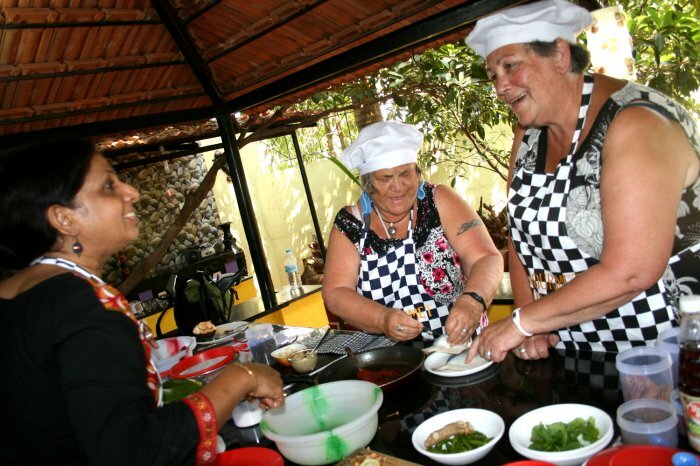 The Goan Cuisine theme introduces to the participants the flavours of traditional Goan delicacies. 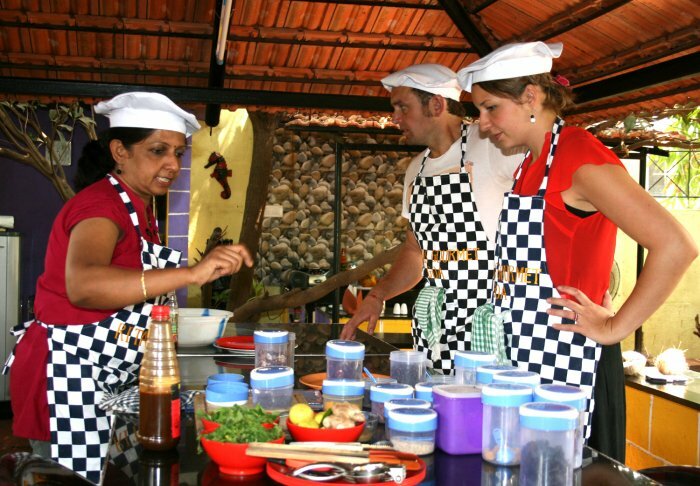 A brief introduction to the Goan spices and culinary history is imparted before Rita and her team take you through explaining and demonstrating the dishes.The participants are divided into small groups with their set of cooking equipment and ingredients. A hard copy of three recipes is handed out to the group which includes One Starter / One Main Course Dish and One Dessert. The participants have to pick up their ingredients from the kitchen table. Time is allocated for the preparation of the dishes. 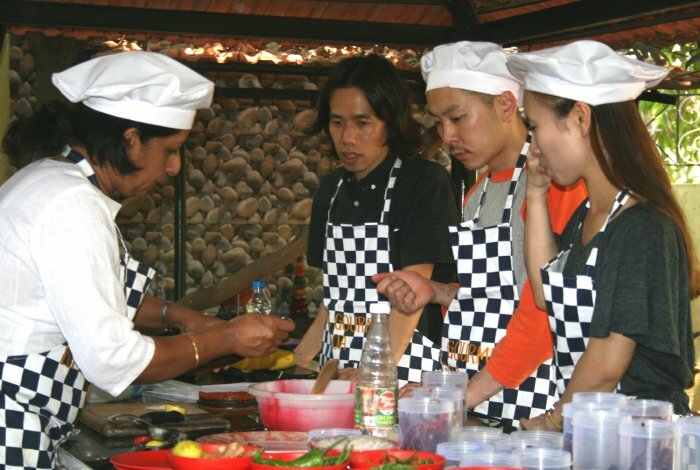 Group has to put in efforts planning and executing the preparation of dishes. At the end of the preparation, plating of dishes will have to be done by the participants. Finally – the tasting session….! Rita and other experts will judge the entire session and the winning group will be presented with a Souvenir. The entire session is a fun filled activity and tests the team building and oneness among the participants. At the end of the session all join together for sumptuous lunch. Soft copy of Rita’s Gourmet e-booklet recipes will be e-mailed along with pics of the class. Rates: Rs 2950/- per person. For group bookings of 20 persons and above there is a discount of 10% per person. The bread baking theme takes the participants into some good hands on cooking experience. The participants in each group will have to bake any of the selected bread namely Italian Foccacia, French Baguette, Garlic-herb based bread to stuffed dinner rolls. Hard copies of the recipes will be provided and so also guidance from experts in making the bread. 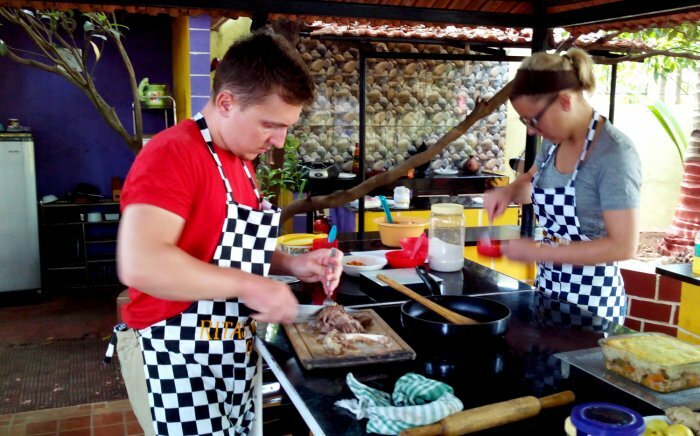 The entire activity will take you through the step-by-step procedure in bread-making right from flour mixing, kneading and baking and enjoying the aroma and savoring the freshly baked bread. This session ends with enjoying a sumptuous meal. The Cake & Dessert Challenge require the group to prepare a Cake and a Dessert. It can be a German Forest or it can be Tiramisu or a Cheese Cake and can include Classic desserts such as a Serradura or a Jamaican Caramel Pudding etc…Hard copies of the recipes will be provided including expert guidance in between the session. 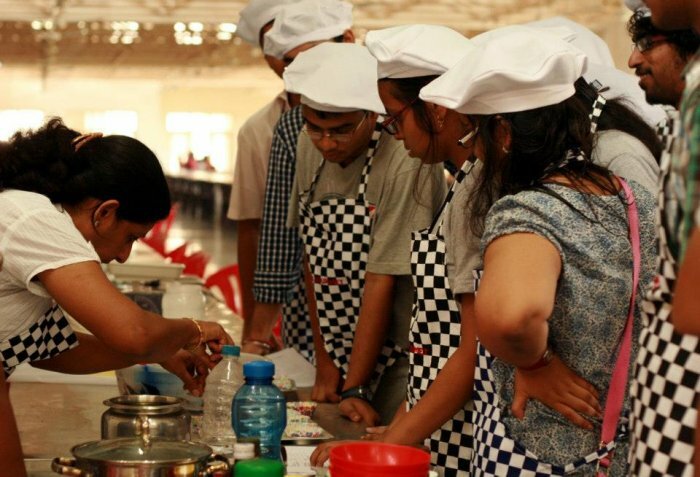 This theme tests the creative skills of the participant groups as they work up the ladder to create a delicious cake and a mouthwatering dessert. At the end of the challenge, the group with the best cake and dessert gets the souvenir. This is followed by the sumptuous lunch.